Contracts with administrators in the District shall be in writing and shall state the term of employment, the length of time during the year services are to be performed, the compensation to be paid, and such other matters as may be agreed upon. There shall be a statement that the contract is invalid if the administrator is under contract with another board of directors in Iowa covering the same period of time until such contract shall have been released or terminated. Contracts of administrators shall automatically continue for one additional year beyond the end of their terms unless mutually modified or unless terminated. A contract shall not be tendered to a continuing administrator prior to March 15th. The administrator shall sign and return the contract to the Board by the date specified by the Board, which shall be at least twenty-one days after it is tendered. The contract shall be signed by the President of the Board and by the administrator and shall be filed with the Board Secretary before the administrator enters upon performance of the contract. Contracts with licensed employees in the District, other than with administrators or with temporary employees, shall be in writing and shall state the number of contract days, the compensation to be paid, and any other matters mutually agreed upon. A teaching contract is invalid if the employee is under a teaching contract with another board of directors during the same time period until a release is obtained, unless pursuant to a sharing arrangement. Contracts for co-curricular duties, except contracts for coaching interscholastic athletic activities, shall be deemed to be a single contract with the teaching contract regardless of whether the duties appear on the same contract with the teaching duties or on separate documents. Resignation or termination from such a single contract shall be deemed a resignation or termination from the entire contract. The Board of Directors may waive this requirement. Contracts for coaching interscholastic athletic activities shall be issued separately from teaching contracts. A resignation or termination from a coaching contract shall not affect the teaching contract. However, a resignation or termination from a teaching contract shall automatically be a resignation or termination from all coaching contracts held by the employee. Contracts with continuing licensed employees for teaching or for coaching interscholastic athletics shall be the same as for the preceding contract term except as mutually modified or unless terminated. 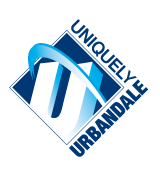 However, contracts for coaching interscholastic athletics with individuals who hold an authorization only or who do not also have a teaching contract with the Urbandale District shall not be continuing contracts and such individuals serve at the pleasure of the District; such contracts may be terminated at any time by the Board for any reason. A contract shall not be tendered to a continuing licensed employee prior to March 15th. The licensed employee shall sign and return the contract to the Board by the date specified by the Board, which shall be at least twenty-one days after it is tendered. The contract shall be signed by the President of the Board when tendered, and after it is signed by the licensed employee, the contract shall be filed with the Board Secretary before the employee enters into performance under the contract. Written contracts will not be utilized with classified employees, except that classified supervisors will be issued written contracts. The Superintendent has the authority to hire classified employees other than supervisors without advance Board approval. The Superintendent also has authority to discipline and discharge classified employees without advance Board approval, subject to the right of the employee to appeal such decision to the Board under the complaint procedure. The employment of a classified employee may be immediately terminated for misconduct and may also be terminated upon fourteen (14) days notice for any reason. Classified employees are not automatically re-employed.